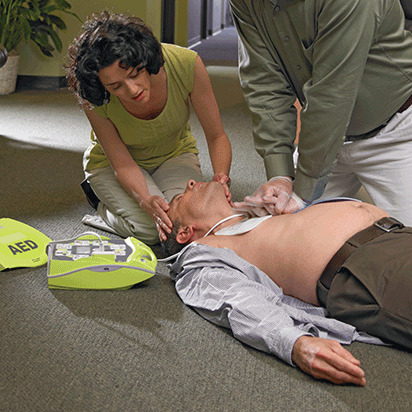 Prepare for the unexpected with first aid training from the American Red Cross. Developed and taught by experts, our convenient, affordable courses can help your organization become OSHA compliant – and empower your team to provide care when it's needed most. With award-winning online classes, plus first aid courses at more than 550 locations across the United States, and our best-in-class blended Simulation Learning, we offer training that's designed to suit your schedule and your learning style. When you understand first aid, you'll gain the ability to help those in need. 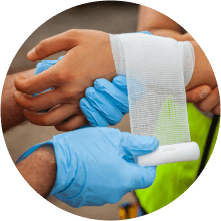 Through our first aid certification classes you'll learn how to respond to specific situations, which will help you care for people in crisis as they wait for medical professionals to arrive. 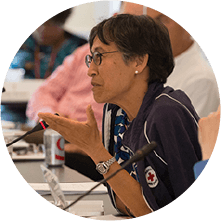 Behind every American Red Cross health and safety training program stands a team of experts ensuring what is taught is based on the latest and best in emergency science. Learning something new only works if it fits into your busy schedule. That's why we use the best methods to teach you the skills you need, when it's most convenient for you. And once you've taken the classes, you can easily keep up to date and in the know with our Refresher Courses. 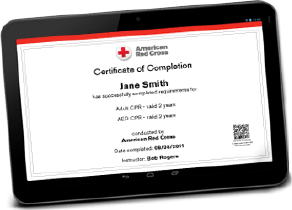 The American Red Cross makes certification fast, simple and easy. 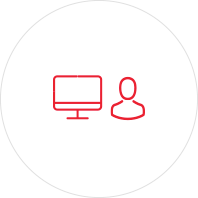 With Red Cross Digital Certificates you get anytime, anywhere access to your certificates; plus print, share, and download wherever and whenever you like. And Recertification Courses allow you to refresh your memory, renew your skills and stay up to date on the latest techniques. We are an Accredited Provider by the International Association for Continuing Education and Training (IACET). 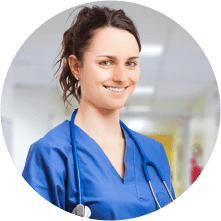 to award Nurses, social workers, teachers, and other professionals who need continuing education units to maintain licensure or certification. Learn more about Continuing Education Units. Whether you take an in-person class, an online course, or take advantage of our Simulation Learning experience, which combines online coursework with in-person training, you'll learn from some of the best in the industry. Knowledgeable, understanding and able to deliver information suited to a wide range of learning styles, American Red Cross first aid instructors will help ensure that you not only understand the steps for performing first aid, but that you have the confidence and skills necessary to perform them correctly. At the Red Cross, first aid training prepares you to provide care to both children and adults during times of crisis. However, like many things, if you don't use your skills frequently, they're easy to forget. That's why, when you take our first aid certification classes, you'll also receive free online access to our first aid refreshers and a printable list of the basic steps for performing first aid. This way, you can practice your skills regularly, and keep reminders in the places you might need them most, like in the first aid kit in your car, home, or desk.